Mr Shailendra Dhar started off with documentary film making in 1995, specifically with the genre docu-fiction, filming wide range of experiences; from life of destitute children in cities like Delhi to video-graphing life and times in conflicts areas in North East and Central India. He has made over 300 short films and video reportage on impact of armed conflict in life and societies, on role of culture and science in evolving value system in society. He worked for Doordashan, generating video stories for them from North Eastern states and contributed for the first ever audio visual news programme Newstrack by TV Today. 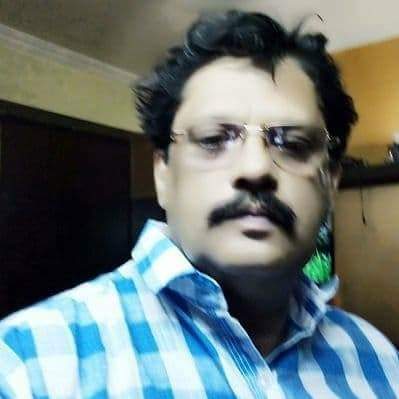 He later joined Anand Bazaar Patrika’s television wing as Bureau Chief in Delhi.Ever since he has worked with different audio visual news organisations. He was Output Editor with ETV and was Editorial Head for Nepal’s leading news and views television channel ‘Nepal 1’. Proficient in computation and software design and programming, having worked few years, working with top technology firms like Nasscomm associated Disha and Rdac India as President software; he has traversed the intersections of science and society, and experienced and expressed the seamless intermingling of science into lives, believes and practices of people.He is executive director of Amyglobal Media, a media content provider and management company which caters to media outlets globally.